Long shadows are cast by sunlit boulders crowding a hill in Anaxagoras crater on the Moon. 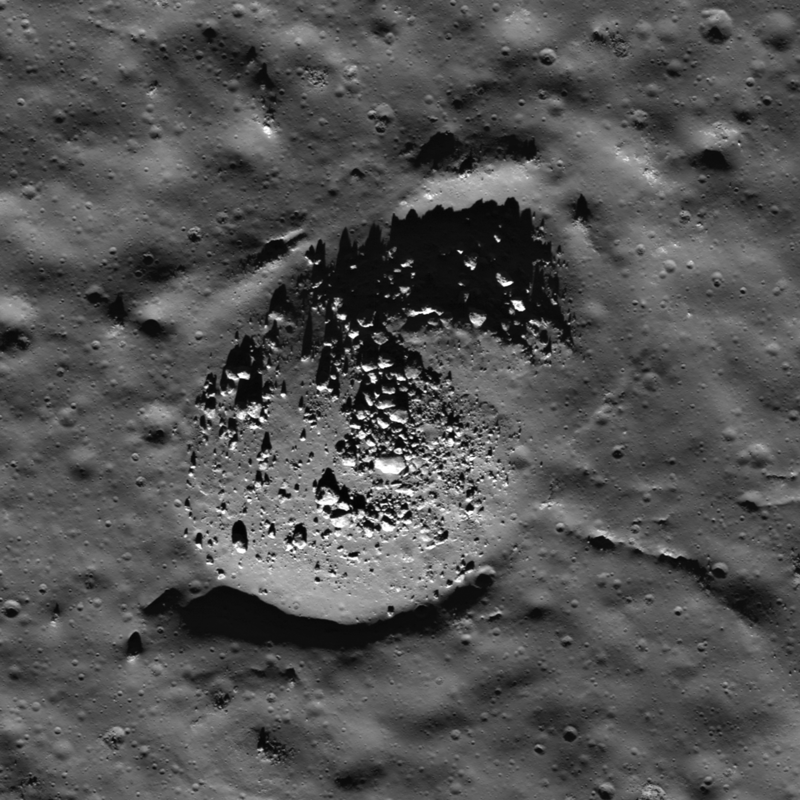 This image taken by the Lunar Reconnaissance Orbiter Camera (LROC) shows an area known as an impact melt – a result of the original collision that created the 50-kilometer-wide crater. Because of the lack of obvious large impacts in the area, it’s thought that the boulders seen here may be eroding out of the hill itself. Most of the boulders seen here are approximately 10 – 30 meters wide. 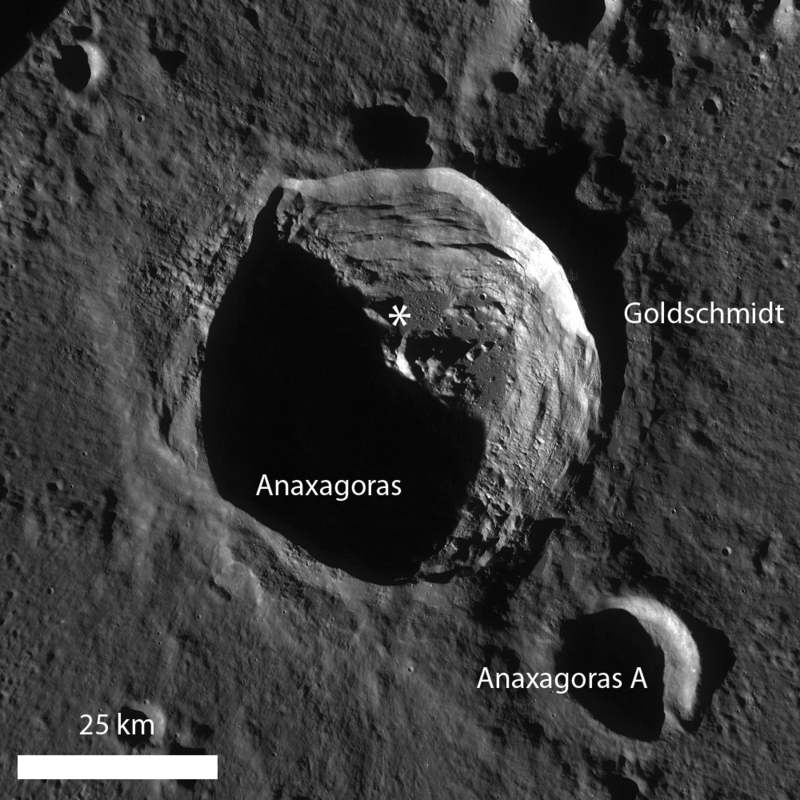 Read more on the LROC site by Arizona State University here.